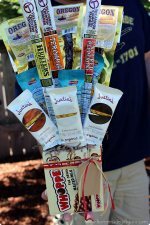 Personalization is a great technique to explore when you need inexpensive homemade gift ideas. For one thing, personalized gifts tend to have a value much higher than the cost of making them. Even personalized gifts designed online (rather than made at home) make amazing, thoughtful and meaningful gift ideas that are worth so much more than the cost of creating them. They say it's the thought that counts... well, personalized homemade gifts are full of thought and that's what makes them count so much! What exactly is personalization? It's adding something personal to an object or gift, making it both personal and one-of-a-kind. 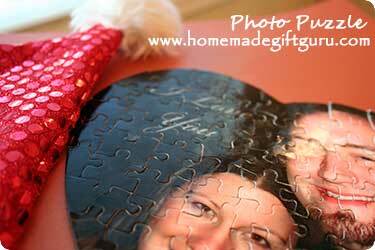 Some of my favorite types of personalization include, personalizing with photos (for example, store-bought or homemade photo puzzles and photo mugs) and personalization using meaningful words, special phrases, memorable dates or names. So how do you personalize stuff? 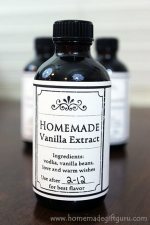 The following arts and crafts supplies can be used to make fun personalized gifts at home. Special or life-long interest such as fishing, sky diving, gardening etc. This early brainstorming often helps to make a more meaningful gift that costs less. The value that your thoughtfulness and planning efforts will add to your gift will be amazing. Don't be afraid to poke around. In cases, where nothing comes to mind or you don't know as much about a person, do a little research. Probe a friend, spouse, mom or dad and find out a few basics, such as favorite color, hobby, character, TV show, movie, sport, sports team, or other favorite theme or interest. Here's a few techniques explained. Permanent Paint Marker. 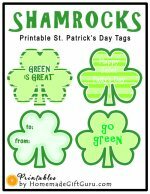 You can use a permanent marker such as an oil based paint marker to write a special message, decorate or personalize nearly any surface with a date, a monogram, name or nickname, whatever you'd like... First Christmas, Wedding Date, Initials etc. Try surfaces such as fabric, wood, ceramic, plastic, glass or paper board. 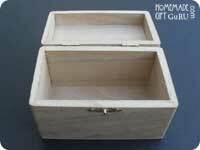 Memorialize a special date such as Birth date, First Christmas, Date Married etc. Oil based paint markers are quick drying, weather-proof and fade proof! You can also use a sharpie marker. To make a sharpie permanent, you may need to spray certain surfaces with acrylic sealer or paint with decoupage medium or watered down white craft glue. Test for bleeding on a separate surface and work quickly. Glass etching is actually quite impressive. A glass etching kit will provide you with the tools and supplies to get you started personalizing your chosen glass for occasions such as Wedding gifts, Anniversary gifts and special Birthday gifts. You can make your very own family heirlooms by etching meaningful designs, monograms, dates, names, messages and more. To etch glass, you use stencils and glass etching cream to create words and designs. It doesn't smell that great, so do it in a well ventilated area and as instructed in your kit. Glass etching is a fun, permanent and dishwasher safe inexpensive homemade gift idea. Decoupage. 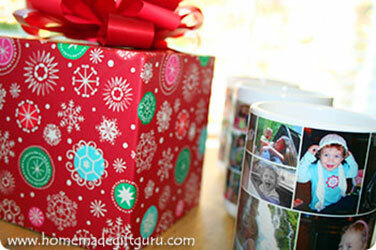 Decoupage is a great way to come up with personalized inexpensive homemade gift ideas. With decoupage techniques, you can place patterns, images and designs onto old or boring surfaces. You may be able to find wonderful items to decoupage at craft stores, thrift stores, yard sales and dollar stores. Decoupage is a great way to incorporate a favorite theme/subject, color, pattern, photograph or interest. You can learn more about decoupage here.